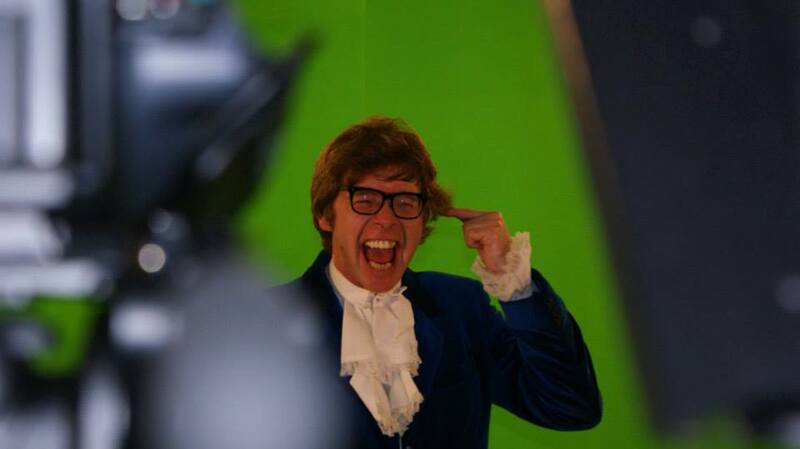 The smiles on faces, the howls of laughter and the wild delight of guests at an event interacting with Austin Powers! Knowing its not only ok to take some time out from real life but such groovy fun to escape into his world! An event where everyone feels theyve stepped on the good foot and done the bad thing, baby – thats why Brian is Europes number one Austin Powers Impersonator. A professionally trained actor, Austin Powers Impersonator, Brian has gone that extra mile to ensure his clients receive Austin, Austin, Austin! His suits are tailored, made to measure, hes a lookalike, soundalike and totally all things Austin-alike! Along with all the classic lines, he is a master of ad-lib, improvising to whatever is happening or being said around him. Wind him up and let him go! 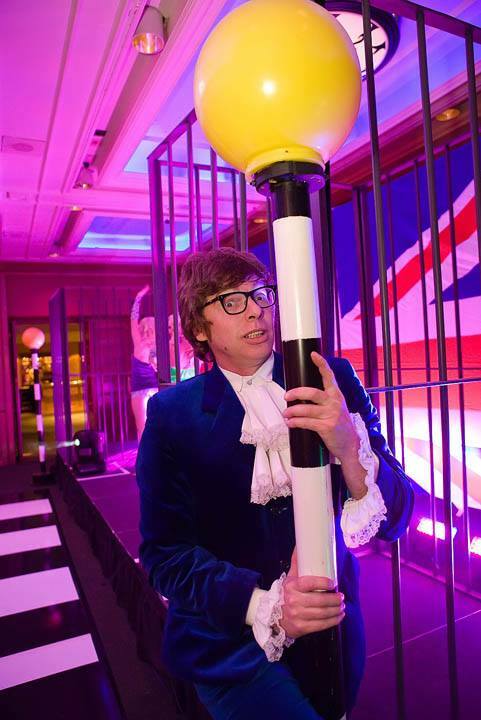 With Austin Powers, its non-stop, fab entertainment and hilarious interaction with guests from shagadelic start to fab, fab finish! Along with Meet n Greet, Mix n Mingle, pose for Photographs duties, Austin Powers Impersonator, Brian is regularly called upon to act as host/MC at awards Evenings and other special events, as confident with as without a script and he can write material tailored to the clients needs. 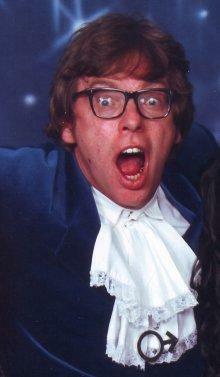 And remember, when requested, he can provide your event with his own 60s/70s professional dancers! An inflatable Queen sized bed with tiger skin patterned, satin sheets – a great opportunity for photographs and a guaranteed, never-to-be forgotten collection of hilarious memories for guests. What better memento of guests arriving at the event than to have Austin not only meet and greet but taking their photos too. As Austin Powers says, Come on people, work with me, show me love!. 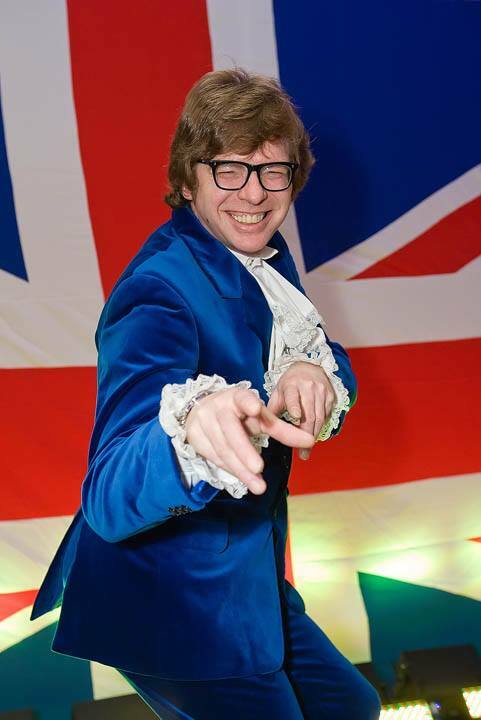 Whether your event theme is Austin Powers, 1960s, 1970s, Hollywood, Oscars or any theme where you simply want to have the best of fun – Austin is your man! 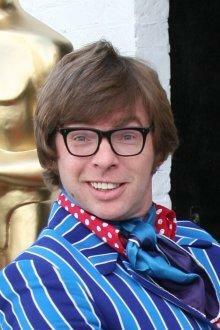 Austin Powers Impersonator Brian usually performs for 3 hours, but can extend at the clients request.